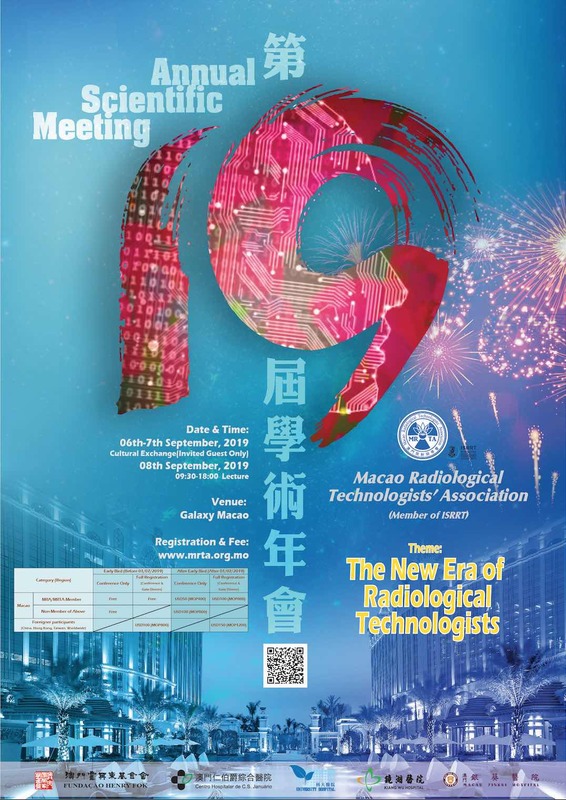 “The 19thAnnual Scientific Meeting of Macao Radiological Technologists’ Association”will be held on 8thSeptember 2019 from 09:30 to 18:00 at Banyan Room 1-3, 1F Banyan Tree Macau, Galaxy Macau.The theme of this year’s scientific meeting is “The New Era of Radiological Technologists.”. 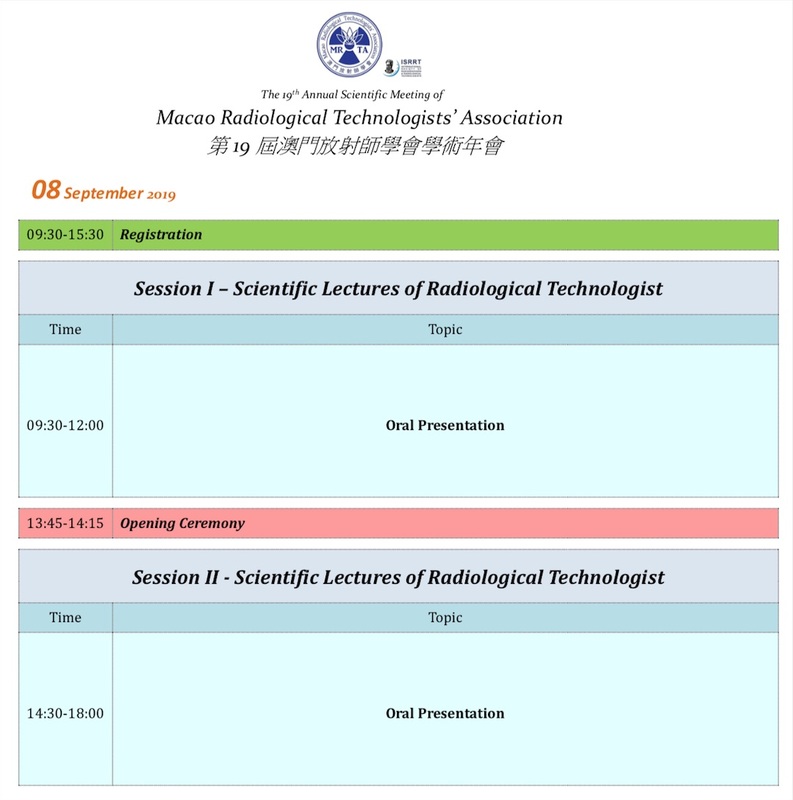 Online Registrationis opening now. Please click the “Registration” button above.